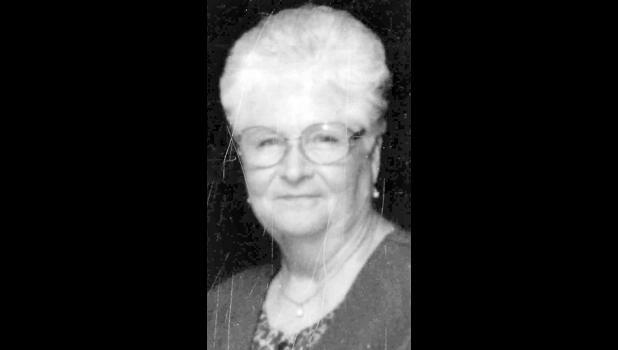 Dorthy Gowan Bennett, 86, of Topeka, passed away Saturday, March 16, 2019. She was born Feb. 3, 1933, in Lawton, Okla., the daughter of Victor and Maurine (Kidd) Gowan. She retired as a supervisor at Southwestern Bell. She was a member of First Southern Baptist Church. She was known for having a tremendous talent for painting. She was a certified Bob Ross instructor and taught painting classes at both Hobby Lobby and her own home. She was very creative and owned two floral shops in town; Dot’s Downtown Flower Shop and Lord’s Flowers. She was on the board at YMCA North and active in Stormont-Vail Foundation. She and Max liked to travel, play golf and had a special place for all animals including her cat Olivia and her bird, Sparkie. She enjoyed spending time with friends and loved crocheting. Dorthy married James Albert Harding on July 7, 1949, in Wichita Falls, Texas. They later divorced. She married H. Max Bennett on Dec. 22, 1979, in Mayetta. He preceded her in death on Dec. 14, 2014. Survivors include sons, Neil (Mary Lou) Harding and Michael (Betty) Harding; daughters, Rowena (James) McCauley and Lequetta “Cricket” (Tim) LeJeune; a stepson, Doug (Douglas) Bennett; stepdaughters, Diane (Michael) Llamas and Janeen (Danny) Walters; nine grandchildren; 16 great-grandchildren; and numerous extended family. She was preceded in death by five siblings, Alta Lee Gowan, Marion Albert Gowan, Larry Warren Gowan, Ethel Thomas Gowen and Earnest Harold Gowan. The family will receive friends from 6 p.m. to 8 p.m. Thursday, March 21 at Penwell-Gabel Mid-Town Chapel, 1321 S.W. 10th Ave., Topeka. A funeral service will be held at 10 a.m. Friday, March 22 at First Southern Baptist Church, 1912 S.W. Gage Blvd., Topeka. Burial will follow in Memorial Park Cemetery.